Tom Cruise has a royal meeting with Prince Philip: Find out why they met! Tom Cruise had a royal meeting with Prince Philip this week. 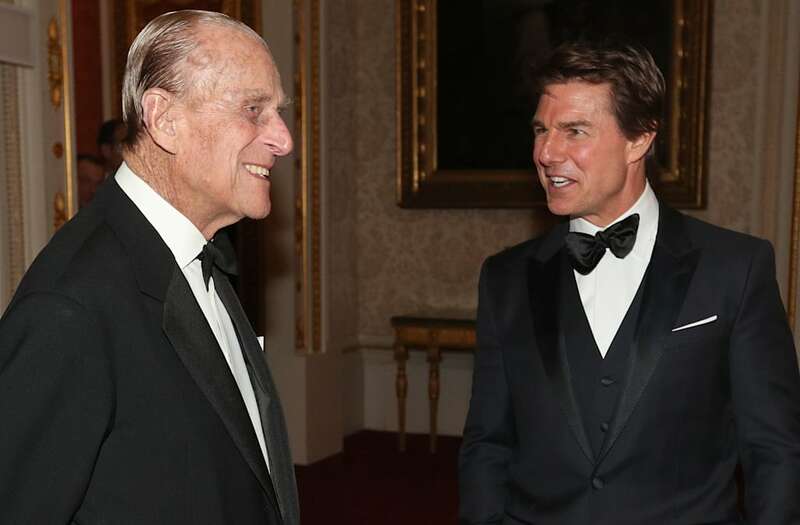 The "Mission Impossible" star attended the 75th anniversary celebration for Outward Bound UK and was greeted by the Duke of Edinburgh during the special occasion. The royal family commemorated the meeting on its official Twitter account after the event on Wednesday with a joyous photo of the handsome men engaged in conversation. "The Duke met @TomCruise who is a supporter of @OutwardBoundUK. The charity helps youngsters reach potential through outdoor activities," the royal family tweeted. Outward Bound UK describes itself as "an educational charity that uses the outdoors to help develop young people from all walks of life." The pair appeared to enjoy each other's company during the event at Buckingham Palace. Their meeting comes just a couple of months after Philip and his wife, Queen Elizabeth II, retreated from the public eye around the holidays to recover from their illnesses, so it's great to see the 95-year-old looking healthy and in good spirits.